Start off your visit on the 30th (Sun): steep yourself in history at Heritage Park Historical Village and then step off the mainland to explore Prince's Island Park. On the 1st (Mon), you'll have a packed day of sightseeing: admire the masterpieces at Glenbow Museum, admire all the interesting features of Fort Calgary, and then wander the streets of Stephen Avenue Walk. For reviews, photos, where to stay, and more tourist information, read Calgary trip planning tool . If you are flying in from Canada, the closest major airport is Calgary International Airport. June in Calgary sees daily highs of 24°C and lows of 9°C at night. Finish up your sightseeing early on the 1st (Mon) so you can travel to Yellowstone National Park. 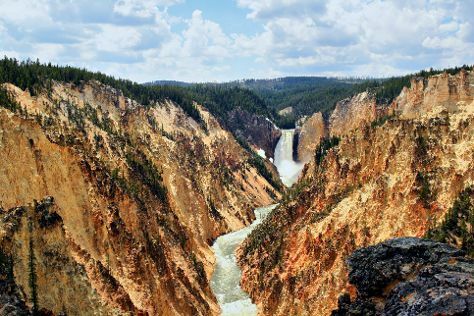 Kick off your visit on the 2nd (Tue): appreciate the extensive heritage of Uncle Tom's Trail, take in breathtaking views at Grand Canyon of the Yellowstone, and then stroll through Artist Point. Get ready for a full day of sightseeing on the next day: explore the striking landscape of Yellowstone National Park. To see ratings, photos, where to stay, and tourist information, you can read our Yellowstone National Park day trip planner. You can do a combination of flight and car from Calgary to Yellowstone National Park in 9 hours. Another option is to drive. Traveling from Calgary in July, you can expect nighttime temperatures to be little chillier in Yellowstone National Park, with lows of 4°C. Finish up your sightseeing early on the 3rd (Wed) so you can travel to Salt Lake City. On the 4th (Thu), take in breathtaking views at Big Cottonwood Canyon, take in the spiritual surroundings of Temple Square, then take in the spiritual surroundings of The Tabernacle, and finally take in the architecture and atmosphere at Cathedral of the Madeleine. For more things to do, ratings, where to stay, and tourist information, go to the Salt Lake City visit planner . Do a combination of car and flight from Yellowstone National Park to Salt Lake City in 3.5 hours. Alternatively, you can drive; or do a combination of car, shuttle, and flight. Traveling from Yellowstone National Park in July, things will get warmer in Salt Lake City: highs are around 41°C and lows about 24°C. Cap off your sightseeing on the 4th (Thu) early enough to travel to Las Vegas. Kick off your visit on the 5th (Fri): see the interesting displays at The Mob Museum, get a taste of the local shopping with The Strip, and then ponder the design of Bellagio Fountains. Keep things going the next day: admire the natural beauty at Bellagio Conservatory & Botanical Gardens, then try to win big at Bellagio Hotel and Casino, and then take in breathtaking views at Red Rock Canyon National Conservation Area. For reviews, photos, and more tourist information, you can read our Las Vegas attractions planner. Traveling by flight from Salt Lake City to Las Vegas takes 4 hours. Alternatively, you can drive; or take a bus. The time zone changes from Mountain Standard Time (MST) to Pacific Standard Time (PST), which is usually a -1 hour difference. Traveling from Salt Lake City in July, expect Las Vegas to be a bit warmer, temps between 47°C and 32°C. Finish your sightseeing early on the 6th (Sat) to allow enough time to travel to Healdsburg. Kick off your visit on the 7th (Sun): do a tasting at Jordan Vineyard & Winery, learn about winemaking at Gracianna Winery, then learn about winemaking at Williamson Wines Tasting Room, then do a tasting at Thumbprint Cellars, and finally do a tasting at Stephen & Walker Winery. To see maps, other places to visit, more things to do, and more tourist information, go to the Healdsburg trip planning tool . Fly from Las Vegas to Healdsburg in 5.5 hours. Alternatively, you can drive. In July, Healdsburg is much colder than Las Vegas - with highs of 34°C and lows of 13°C. Finish your sightseeing early on the 7th (Sun) to allow enough time to drive to Yountville. Named after the man responsible for establishing Napa Valley's first vineyard, Yountville is a destination for foodies. On the 8th (Mon), learn about winemaking at Inglenook, then learn about winemaking at Modus Operandi Cellars, then do a tasting at Anderson's Conn Valley Vineyards, and finally learn about winemaking at B Cellars Vineyards and Winery. To find photos, ratings, maps, and other tourist information, read Yountville itinerary site . Traveling by car from Healdsburg to Yountville takes 1.5 hours. Alternatively, you can do a combination of taxi and bus. While traveling from Healdsburg, expect slightly colder days and about the same nights in Yountville, ranging from highs of 30°C to lows of 14°C. Finish your sightseeing early on the 8th (Mon) so you can drive to San Francisco. Kick off your visit on the 9th (Tue): snap pictures at Golden Gate Bridge, then steep yourself in history at SS Jeremiah O'Brien, then wander the streets of Fisherman's Wharf, and finally step off the mainland to explore Alcatraz Island. Get ready for a full day of sightseeing on the 10th (Wed): get a taste of the local shopping with Union Square, then wander the streets of SoMa, and then take your sightseeing to a higher altitude at Twin Peaks. For other places to visit, maps, more things to do, and other tourist information, read San Francisco tour itinerary maker site . Traveling by car from Yountville to San Francisco takes 1.5 hours. Alternatively, you can do a combination of bus and subway; or take a bus. Traveling from Yountville in July, expect nights in San Francisco to be about the same, around 16°C, while days are a bit cooler, around 26°C. 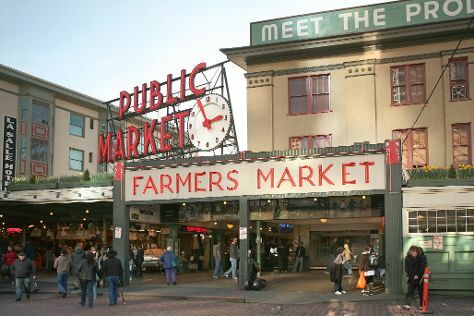 Finish your sightseeing early on the 10th (Wed) so you can travel to Seattle. On the 11th (Thu), admire nature's wide array of creatures at Seattle Aquarium, take a stroll through Pike Place Market, then admire the masterpieces at Chihuly Garden and Glass, and finally take in panoramic vistas at Space Needle. To find traveler tips, reviews, maps, and other tourist information, use the Seattle day trip planning site . You can fly from San Francisco to Seattle in 4.5 hours. Other options are to do a combination of train and flight; or drive. When traveling from San Francisco in July, plan for somewhat warmer days and about the same nights in Seattle: temperatures range from 30°C by day to 18°C at night. Wrap up your sightseeing on the 11th (Thu) early enough to drive to Vancouver. On the 12th (Fri), enjoy the sand and surf at Kitsilano Beach, then shop like a local with Granville Island, and then take a stroll through Gastown. Get ready for a full day of sightseeing on the next day: tour the pleasant surroundings at Stanley Park and then take in the dramatic natural features at Vancouver Seawall. For maps, reviews, where to stay, and other tourist information, use the Vancouver trip tool . Getting from Seattle to Vancouver by car takes about 3 hours. Other options: fly; or take a bus. In July in Vancouver, expect temperatures between 28°C during the day and 17°C at night. Wrap up your sightseeing on the 13th (Sat) to allow time to drive to West Kelowna. Kick off your visit on the 14th (Sun): do a tasting at Kalala Organic Estate Winery, learn about winemaking at Off The Grid Organic Winery, then learn about winemaking at Quails' Gate Winery, and finally do a tasting at Mission Hill Family Estate Winery. For maps, where to stay, reviews, and more tourist information, read West Kelowna tour itinerary maker site . You can drive from Vancouver to West Kelowna in 4 hours. Other options are to fly; or take a bus. When traveling from Vancouver in July, plan for somewhat warmer days and slightly colder nights in West Kelowna: temperatures range from 34°C by day to 13°C at night. Finish up your sightseeing early on the 14th (Sun) so you can travel back home.